If you have recently bought Sabra hummus, you need to check on the recalls occurring right now. 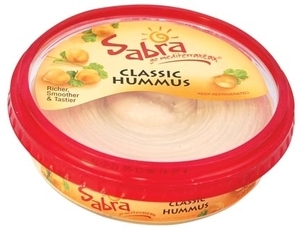 Over 30,000 cases of Sabra Hummus have been recalled due to potential Listeria contamination. While some Listeria cases may cause high fevers and nausea, it can be fatal for people with already weakened immune systems. Young children and pregnant woman are also susceptible to more severe cases of the food-borne illness as well. While the recall right now is voluntary, and there have been no reported illnesses associated with the hummus recall yet, consumers should still proceed with extreme caution. This is the second listeria-related recall to happen this week. Blue Bell Creameries have also issued a recall on banana pudding ice cream which tested positive for Listeria as well. If you’ve been injured or hurt due to consuming Sabra Hummus that has been recalled, please contact the personal injury attorneys at Carr & Carr, at 1-877-392-4878. We might be able to help you receive compensation allowed by law for damages or injuries. We work with individuals and families across the United States who have been hurt by dangerous products. It doesn’t cost you anything to call and talk to an attorney to see what options you have.